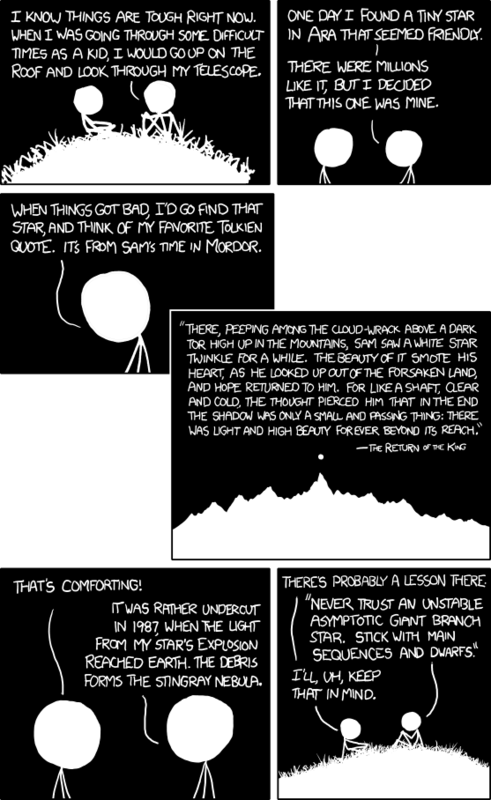 Another good one from the awesome that is xkcd. The Stingray Nebula (Hen-1357) is one of the youngest known planetary nebula – the result of a dying star shedding its outer layers and illuminating the expanding gas with radiation. Located in the southern constellation Ara (the Altar) the Stingray Nebula is 18,000 light-years away. It’s estimated that the light from the event arrived at Earth in 1987.